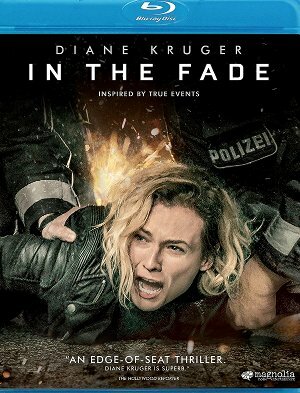 Punctuated by a terrific performance by Diane Kruger, In the Fade is an unflinching and powerful film delving into the themes of love, loss, hatred, bigotry, and revenge. Kruger stars as Katja, a former drug addict who has put her past behind her and has a stable life in Hamburg with her husband and son... at least until a bombing at the shop kills Katja's family. While the police look for motives tied to Katja or her husband's murky past, it soon becomes clear that her Kurdish husband was targeted by Neo-Nazis for no other reason than the color of his skin. What follows is a heart-wrenching tale of Katja struggling to keep it together and get justice for the death of her husband and child, either inside the courts or on her own terms. While at times hard to watch, In the Fade (which took home the Golden Globe for Best Foreign Film) is a must-see for those not put off by subtitles. Featuring one of Kruger's best performances, writer/director Fatih Akin offers a tense thriller, trial, and character study all rolled into one. Available on both Blu-ray and DVD, extras include interviews with Kruger and Akin and a pair of featurettes. While Lucifer (Tom Ellis) tries to understand his partner's perplexing decision to marry Pierce (Tom Welling) working a murder at a dog show with Dan (Kevin Alejandro), the ladies throw Chloe (Lauren German) a bachelorette party (although multiple guests have their own reasons for showing up). "All Hands on Decker" is pretty boilerplate Lucifer. The devil makes outrageous choices (such as taking on Chloe's role and expecting Dan to be more like him), but eventually is lead to the truth he was seeking all along. There are some fun individual moments here including Amenadiel (D.B. Woodside) playing with Pierce's head, Dan admitting his feelings to Charlotte (Tricia Helfer), and a drunken Chloe coming to a very obvious decision about her engagement. Chloe's decision to halt the wedding before it gets started looks to be the first domino to fall in the final endgame involving Pierce, Lucifer, and Maze (Lesley-Ann Brandt) who still plans to frame her former boss for murder in order to get back to Hell before the season comes to a close. Hendo Art offers a tutorial on how to create a light-up, foam Infinity Gauntlet.